The increasing popularity of online education shows that it provides tremendous value. Some of the key advantages of this type of education are described below. Online courses can be done from any location with reliable internet access. It is, therefore, perfect for people with busy schedules and demanding lives. Students are better able to work, take care of their families and study. Additionally, self-paced courses don’t require students to attend mandatory life sessions. The course material remains accessible and students can choose to engage with it at their own pace. There is an online degree for almost every conceivable profession and niche. If it isn’t offered at a particular college, chances are it is offered at another. Students are also able to access any level of a degree from a professional development certificate to a PhD. It is important to note, however, that you should always verify that a course is accredited before enrolling. It makes no sense completing an unaccredited degree. This point is closely related to the idea of convenience. Online students are able to work from the comfort of their own homes. They don’t have to deal with the hassles associated with face-to-face classes. Most, if not all, of the course is digital thus making it easily accessible to enrolled students. Obtaining a degree provides numerous opportunities for career advancement. However, engaging in a traditional face-to-face program can often be daunting for someone who is working full-time. Most people who work full-time don’t have the option to leave their jobs to pursue their degrees. They have to work in order to pay their tuition and provide for their families. Online degrees provide the flexibility necessary to make working and studying truly feasible. Completing online programs show potential employers your commitment to continuous learning. The knowledge you obtain can help you become a valuable asset to a company. If you want a competitive edge, enroll in an online program relevant to your niche at one of the best colleges.These benefits make online learning an attractive option for many. Before jumping into an online college program, take the time to assess whether or not you have the traits necessary to complete it. Anuil Akanegbu in her article 50 Striking Statistics about Distance Learning in Higher Education states that there is a 72% completion rate for online classes at community colleges. If you don’t want to be a part of the 28% who drop out of these online courses, pay attention to the following traits of an online college student. Checklists help us keep track of what we have done and what we need to do. Use these steps to help you create an effective checklist for your online course. Step One: Download a copy of the course outline. The course outline usually provides details about the topics that will be covered each week, the assessments that provide the foundation for the course, and suggested reading. Step Two: List the assessments that need to be completed based on the course outline. Step Three: Outline what you need to do to complete each assessment. Break this down into tasks you need to complete each day. Step Four: Tick off each item on the list once you’ve completed it. There are some useful apps that can help you keep track of your daily to do list. 1. Wunderlist: Just like most other task-management apps, Wunderlist allows you to create lists, collaborate on lists with colleagues or family members, set deadlines to get tasks done, and set reminders to keep you on track. 2. GoogleKeep: This app combines the basic features of a task-management app with the ability to link your tasks to notes, photos or audio recordings on your device. 3. Todolist: This app provides a simple, clean design with extensive collaboration features. It also has a feature dubbed karma that awards points for task completion. 4. Any.do: The upside of this app is its voice-entry feature. You can use this feature to create lists by talking to your smartphone. 5. Remember the Milk: The Pro-subscription for this app makes it a bit more intriguing. Pro users are able to divide jobs into subtasks, use color tags to separate different kinds of lists, and set reminders. College is an entirely different ball game from high school. If you were the type of person who breezed through high school without exerting much effort, chances are that you’re going to receive a rude awakening in the online college setting. There will be a lot of content that you’ll have to read, interpret and apply. It isn’t a walkover and shouldn’t be treated as such. The best chance for success is creating a study plan and sticking to it. A study plan includes specifically designated study times and the learning goals associated with each time slot. Use these steps to create an effective study schedule. 1. Outline your daily activities in a time chart. A time chart enables you to visualize what you do each hour of the day. Doing this will allow you to more accurately determine the times you can carve out for study. 2. Create a schedule for the identified slots. Indicate these study times on your calendar so that you’re constantly reminded of when studying should begin. 3. Set a goal for each study session. Goals help you maintain focus and accomplish more during each study session. Is there a particular topic that poses a challenge to you? Do you feel like you know enough about a particular topic to do you exam? Is there a particular assessment you need to complete? The answers to these questions can help you set your goals. 4. Stick to it! Consistency is important. You won’t be able to achieve your goals if you allow yourself to slack off. All of us need a bit of extrinsic motivation sometimes. When you set your goals link them to rewards that you’ll give yourself once you’ve accomplished them. They don’t have to be big. Small rewards will help you accomplish more goals. For example, you could reward yourself with watching an episode of your favorite series at the end of a study session. Try to avoid unhealthy rewards such as sweets and snacks. Meeting your goals doesn’t mean that you have to adopt an unhealthy lifestyle. Trait 2 is directly linked to trait 1. If you don’t manage your time well nothing will get done on your checklist and your study schedule will go through the window. Life is very demanding. You have to juggle multiple responsibilities while trying to succeed academically. It’s tough. However, it is a surmountable challenge. The following tips can help you master the art of time-management. 1. Get up early and plan your day. Christopher Randler, a Harvard biologist, conducted research in 2008 that showed that people who get up early are more proactive. They are also more likely to anticipate problems and minimize them efficiently.” Get into the habit of going to bed early and waking up early. Contrary to popular belief, getting 7 to 8 hours of sleep is important. When you wake up, try to either exercise or reflect. Craft a plan for your day and commit to executing that plan. 2. Prioritize tasks. When you plan each day, outline the three most important tasks that you have to complete. Rank them from most to least important and just get them done. 3. Don’t procrastinate. Why leave for tomorrow what you can get done today? Make a firm decision to complete all that you need to get done. 4. Pay attention to the time you spend with your gadgets and electronic media. Many of us are guilty of smartphone addiction. There’s always something that keeps our phones glued into our hands. It’s also easy to become caught in the routine of watching TV every time you get home from work. Without even realizing, these forms of entertainment become huge time wasters. Gauge your smartphone and television use so that you can optimally use your time. 5. Affix a time limit to each task. It may seem too rigid to affix time limits to tasks, but this practice can help you keep track of everything that needs to be done. Instead of focusing on committing to a task until it’s done, commit to working on the task within a particular time frame. When the time is up, take a break and then move on to another task. You can always come back to the other task later. Working in this way will help you get more done. 6. Focus on the small tasks instead of the bigger picture. It can become very overwhelming when you think about everything that you have to do. Think about each task one at a time. Use one of the task-management apps previously mentioned to help you tick off everything that you’ve completed. 7. Turn tasks into habits. Studying must become a habit for an online college student. Sticking to a study routine will help you make studying a habit. 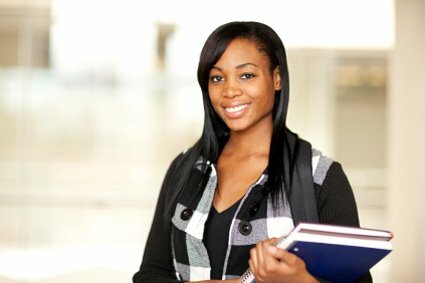 Knowing your way around a computer is a must for an online college student. You don’t need to know the intricacies of computing, such as how to write code or build websites. However, you do need to know how to create documents, PowerPoint presentations, and simple Excel spreadsheets. You also have to be comfortable with internet usage and browsing. Online platforms differ from one college to another. So, you also have to be able to learn how to comfortably use the platform’s features. Online classes generally require you to communicate with classmates through discussion forums, emails, video conferences, or chat platforms. Assignments must be uploaded and some platforms may require that they be uploaded as PDFs. Knowing how to effectively use all of these features and convert files to PDFs is an asset. Your ability to convey your thoughts through writing will be a central focus of your online learning. You will be required to either post messages on discussion boards or communicate with colleagues and your lecturer in real-time. A good understanding of netiquette is, therefore, essential. Netiquette involves showing respect to other users when posting in online discussion groups. Standards that apply to formal face-to-face settings also apply to online learning environments. A key question to ask when participating in online discussions is, “Would I say this to the person’s face?” If the answer is no then don’t say it. Unlike face-to-face conversations that are ephemeral, online conversations are permanently etched into the internet’s fiber even if they’ve been deleted. It is also important to follow the rules of the forum and use proper grammar. First impressions last. Don’t portray yourself as someone who can’t aptly convey thoughts and ideas. Respect all of the forum’s participants and ensure that you are meeting the course’s requirements. For instance, some courses may require you to comment on at least 3 of your colleague’s posts in order to qualify for a grade. Follow the rules and communicate well. Take the time to provide thoughtful responses on discussion forums. Your comments should show that you understand and are able to apply the concepts you’re being taught. Challenge both yourself and your classmates to think deeply about what the course is teaching. Meaningful discussions help you get the most out of a course. •	Being able to comfortable use the platform that the group will use to collaborate and communicate. Sharing platforms, such as Google Drive, are often used during the collaboration process. Familiarize yourself with as many of the collaboration platforms available as possible. •	Being able to clearly communicate your thoughts both in writing and verbally. Be present and participate. Ensure that your portion of the task is done. If any issues arise, let your group members know. •	Understanding factors that affect online collaborations. Time zones often prove to be a challenge. Online learning opens doors for people all over the world to obtain higher education. So, you’ll more than likely be working with people from all over the world. Culturally differences and language barriers also stem from the global nature of online learning. Ensure that a group leader is appointed to keep everyone on track. Work together to create a schedule with established deadlines. If you don’t use deadlines and assign tasks it is possible for the group to be a bit haphazard. Broad goals are less likely to be accomplished than SMARTER goals. The last two steps in the process are crucial. It’s important for you to evaluate your progress towards achieving your goals and make adjustments where applicable. Set the right goals and evaluate and refine them and you’ll find that you’ll have a very successful journey as an online college student. No one is able to complete your degree for you. You have to develop the internal drive that keeps you going even when you feel like giving up. Marcandangel once said, “You are in 100% control of you. Your decisions in each and every moment determine the quality of life that you live.” Success is a choice. Choose to wake up each morning with positive thoughts that will guide you throughout the day. You can and will accomplish everything that you’ve set out to do. The company you keep also influences your motivation. Surround yourself with like-minded and progressive people. These are the type of people who will inspire you by just being who they are. They will love and support you in the same way that you love and support them. They can help you keep on-track with your daily study goals and the general goals that you have for completing the online course. Trust them to help you get to where you need to be. Knowing who you are impacts your motivation. Understand what makes you tick and the time of day that you function the best. Develop emotional intelligence so that you’re able to gauge your emotions. Love and embrace who you are. That type of positivity will keep you on track and get you to where you need to be. Keeping on top of everything you need for an online course requires consistency. Create a schedule and stick with it. Fight the temptation to avoid doing what you need to do. Never tell yourself that you can’t do something. Try until you get it done. Take baby steps so that you can build the momentum that helps you push through. Baby steps may mean that you have to set smaller goals and increase them incrementally. The truth is though that life is unpredictable. It is always possible for things to happen that are beyond your control. Always have a backup plan. If you can’t get the study time you need on a particular day, how can you make up for it? Is there someone who can babysit your children when you really need to get some work done? It’s impossible to predict what may happen. However, having some type of contingency plan in place can prove useful. Being able to adapt is one of the most important traits an online learner possesses. Things happen. It is possible, for instance, for your internet connection to be poor on a day when you have a live session or assignment due. You have to be able to adapt and find solutions. Instead of complaining, find solutions and adjust accordingly. If you don’t like what you’re studying, chances are you won’t be able to develop any of the aforementioned traits. Pursue a course that is in line with your passions or interests. A thirst for knowledge provides a captivating learning experience. When you have genuine curiosity in the content you will want to study and complete the coursework. Develop a genuine interest for learning and everything will gradually fall into place. Online learning is a wonderful avenue for tapping into new career opportunities. It provides the flexibility many people need to balance work, family life, and academics. Furthermore, a wider variety of courses are offered online and you can learn at your own pace in the comfort of your home. However, it is important for you to determine whether or not you have the traits required for the successful completion of an online course. These traits incorporate a measure of persistence, determination, drive, people skills, and willpower. Work on developing a blend of all of the traits and you will do very well in the online learning environment.